I’m going to share a little history lesson from my parenting world today. I had my first baby in 2010 after 40 hours of labor which included a hospital transfer. Finally, FINALLY, my sweet little girl was born and I loved her so very much. She took to breastfeeding well, I stayed home with her for four months and then returned to work. Around her 1st birthday I became a stay at home mom – my dream – and we began a simple, but fun daily routine, just the two of us. Then my husband and I found out another little baby was on the way and Jemma spent her toddler years with a pregnant mama. 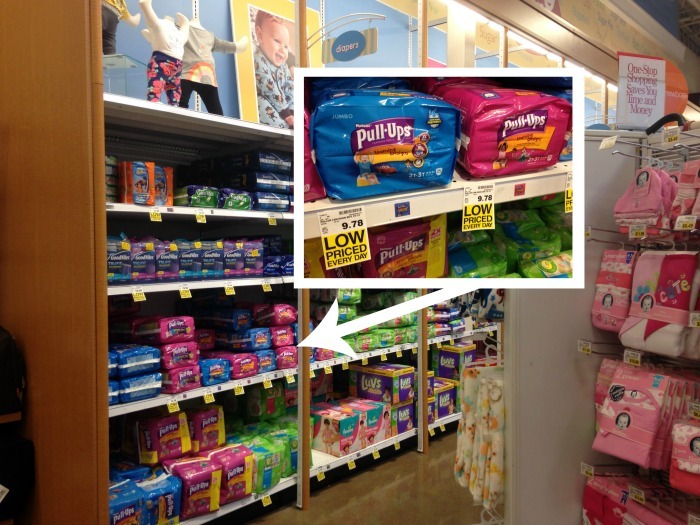 I toggled back and forth on attempting to potty train her before her brother arrived, and then, after some very testimonial blog reading, that no, such a large event shouldn’t be paired with the event of a new sibling. Max was born in 2012 and I crossed my fingers that Jem would get that bug to be “grown up” and “only let the baby wear diapers”. No such luck. Girl loved diapers. We hit 2 1/2 and started talking about preschool, which required potty training and so I began. That was in July 2013. It was almost 11 months later when we cleared the potty training milestone. ELEVEN MONTHS. Not even close to what I imagined potty training would be like. I’ll admit (and heartily apologize to Jemma) that I went about things all wrong. At least for her. I took, good, general advice and applied it to our situation and watched it explode before my eyes. Potty training turned into a massive battle of wills and mamas, let me tell you, 2 year olds wills may very well be stronger than mine. The great news – Jemma is 4 now and completely potty trained, has been for quite some time. She did it when she was ready, despite my ragged attempts to coax her onto my schedule. 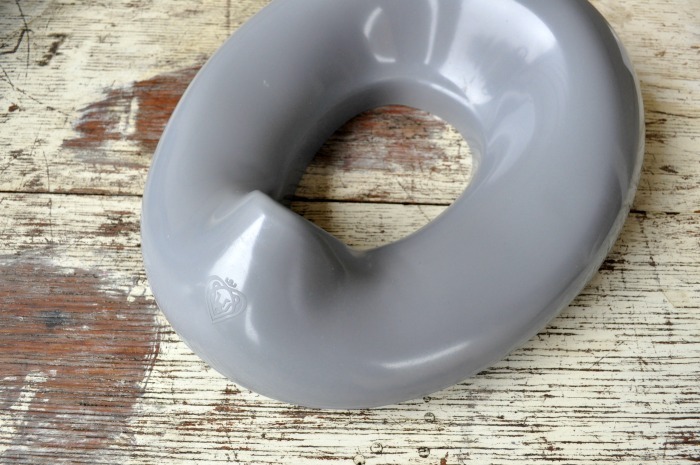 Bottom line, and my only advice to parents on the brink of potty training, recognize that your child is unique and individual and thus, will learn how to use the potty on their own accord. And that’s ok. Really! Now, with child #2 approaching 2 1/2 I can assure you that I’ve got a different mode of reasoning as we edge closer towards potty training. Live and learn! Live and learn, Gretchen. For starters, I’ve got no calendar in mind. 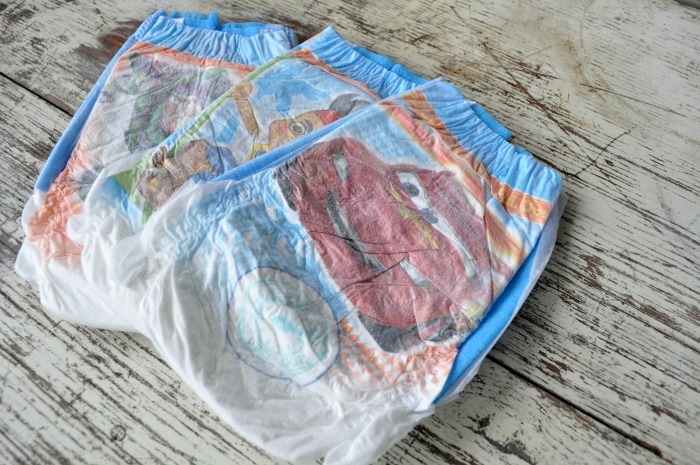 If Max chooses to try out the potty tomorrow, super! If he waits until he’s another year older, fine by me! However it goes, I’ll be practicing patience and a calm, gentle spirit as I facilitate the toddler/preschooler milestone of potty training. 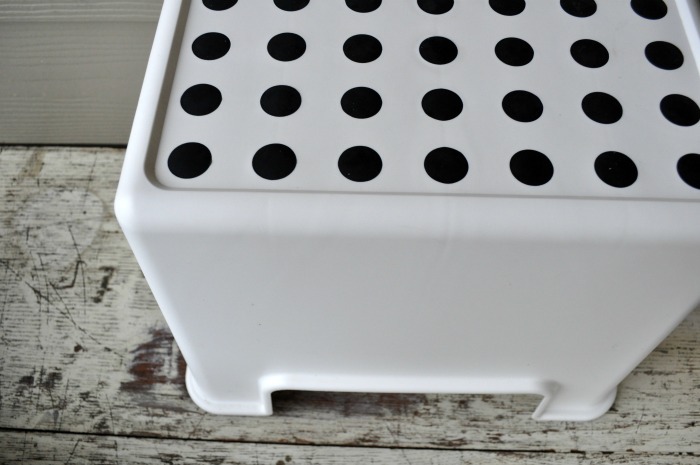 Whether we’re potty training or just washing up after meals, a step stool in a wonderful addition when teaching hygiene. It’s also a big help when little ones are learning how to get on the potty solo too. Would you like to dangle on a giant toilet, trying to focus on doing your business all while figuring out a balance so you don’t fall in? Nope. Me either. Potty seats are a must around here. Uh! I hate to even admit that I “bribe”, but I do. And here’s my rational, trying new things is hard and sometimes it’s nice to have a little incentive. I even feel that way as an adult. 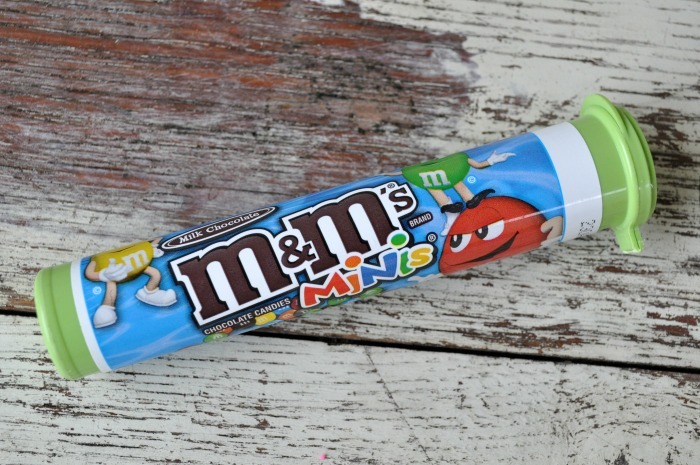 So, hello mini M&Ms. I get a little anxious when it comes to potty training. 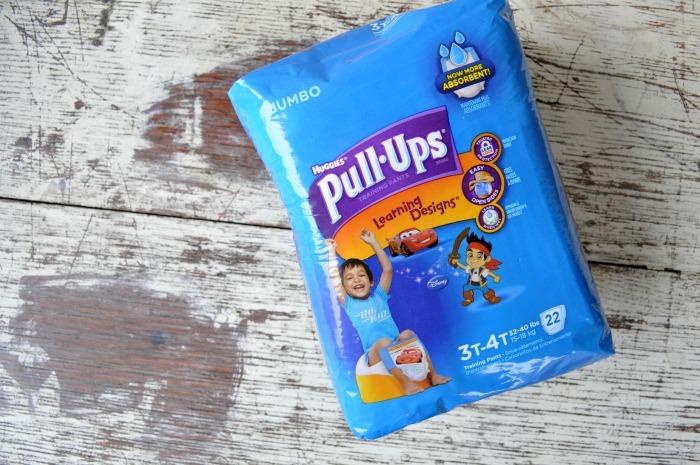 Could be my 11 month marathon with Jemma or general dislike of mopping up messes, whatever it is, Pull-Ups® training pants are my jam and the perfect middle ground between diapers and underwear. Pull-Ups® has a number of great resources as you research what will work best for you and your child. Sign up for the Pull-Ups® Big Kid Academy and download the Pull-Ups® Time to Potty App to see if they’d be a good fit for you! 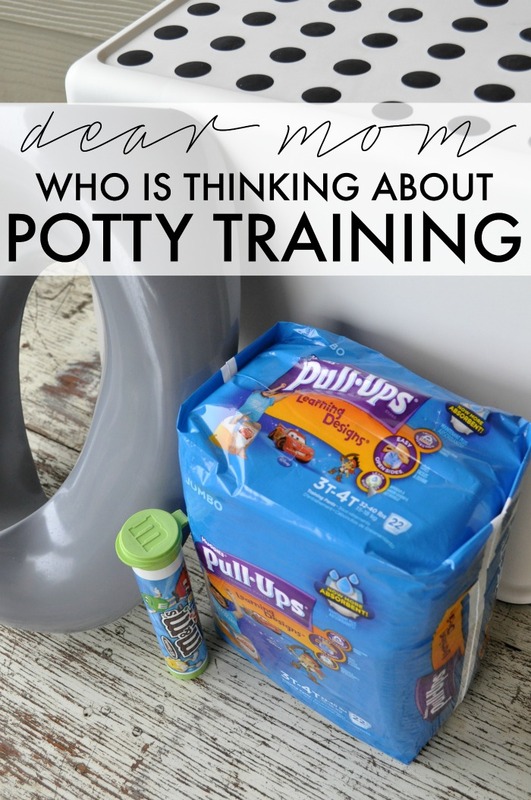 Most of all, I’d love for you to comment with your potty training story or favorite tips (especially if you have boys!) and don’t forget to enter the sweepstakes. Details below! Yay! Sounds like he was ready! I sure hope Max has the same go get it spirit when it’s his turn! I bought my daughter a potty several months ago but she’s yet to use it. She’ll play with it and sit on it but stands up and says “no poopies” it’s too funny. I’m sure she’ll figure it out eventually. I’m still waiting for my 3.5 year old son to be ready. I’m SOOOOO ready for him to be ready. One thingmy mom told me is to put a ping pong ball in the toilet. Then it’s a game of dunking the ball…and the ball never flushes down the toilet! Worth a try!